Child custody mediator Nicole K. Levy reviews how mediation can help parents plan and resolve holiday schedules. This time of year can be stressful for parties involved in divorce or child custody litigation, or those who are separated and trying to work out what to do for a schedule. With the holidays rapidly approaching, and school breaks around the corner, there is pressure to create an amended schedule for the holidays, and, if one is already set, to work with changes that may arise. While a day-to-day parenting schedule generally affects only the parents and the children, holiday schedules involve planning with family, friends, travel, last minute changes, and sometimes different work schedules. If parents cannot agree on a parenting schedule for the holidays then one must be set by the court. However, holidays and how they are celebrated differ drastically from family to family. Whether this is due to religious differences, established patterns, travel, or simply tradition, often times a generic holiday schedule is not going to work for most parents who are separated. Whether you are currently engaged in litigation, mediation, or have not started any process, mediation is often a beneficial choice to work through a holiday schedule. Parents, even those currently in litigation, often come to mediation to work on isolated issues that are time sensitive, or that they believe need detailed attention. Court orders do not always allow for this type of detail; in fact, some court orders will simply specify that one parent gets a certain holiday, such as Christmas, and the other parent gets Thanksgiving, without set days or times. Worse, some court orders specify that one parent gets the Jewish holidays but does not outline which holidays are included. And what happens if Christmas and Hanukah fall during the same time frame? The bottom line is, mediation can be a valuable tool to work out a holiday schedule. One major holiday issue that arises is travel, whether it be the parents traveling, or family coming to Massachusetts for the holidays. Parents want to see their child during the holiday, but also know that the child may also want to see cousins, aunts, uncles, grandparents, and other family and friends. Breaking a traditional celebration not only affects the mother, father, and children, but also the family that travels to town or that typically hosts a celebration. There is no right answer for dealing with the holidays. There is no generic schedule that can be superimposed on every family. This is where mediation can assist. A skilled mediator can aid in crafting an incredibly tailored holiday schedule that takes into consideration outside family and traditions. It is not enough to “share” a holiday: a mediator can help in ensuring that the holiday is “shared” in a way that makes sense for both the parents and the children, but also considers other family. 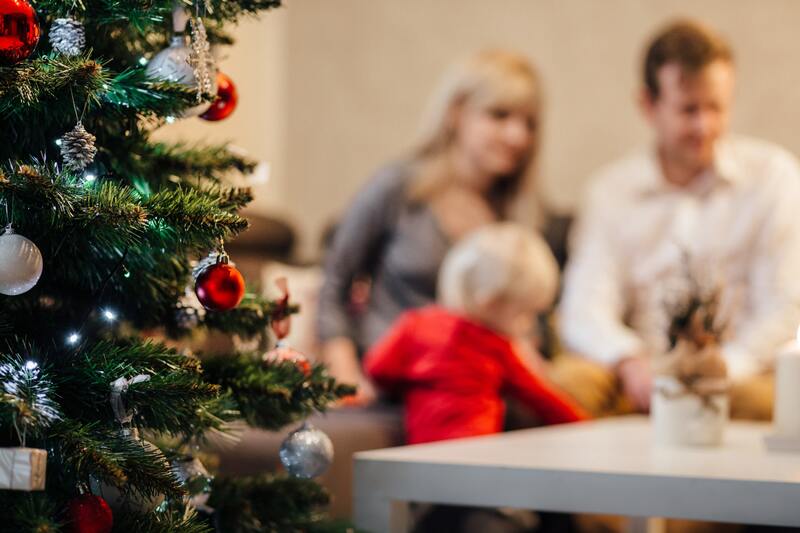 For some family, sharing the holiday may work, and for others, alternating the holiday may be a better option depending on how each parent plans to celebrate. Moreover, I have encountered families who do not celebrate the holidays on the actual holiday, and in these cases a court order to alternate or split the holiday would be useless. Unlike judges who become swarmed with filings this time of year, mediators can take the time to listen to each parents’ wishes, concerns, ideas, and proposals, and work with them to create a very detailed, unique holiday schedule. The schedule can be one that is repeated annually, alternates, or changes depending on certain factors, such as travel. A judge simply does not have the time to craft this type of schedule for every case on their docket. Another challenge that frequently arises for holiday schedules is the work/holiday balance. Parents who do not have the entire school vacations off work face a challenge in child care, and whether they should maintain the day-to-day parenting schedule, or make accommodations for the school break. Again, there is no cookie cutter right or wrong answer for this. A mediator can listen to each parents’ concerns, review each parents’ schedule along with the school schedule, and help come to a resolution that is fair and accommodates everyone as best as possible. Where a court order may give each parent a certain amount of time each break, this type of order may not work for either parent. Whether this is the first time you and the other parent are discussing a holiday schedule, or you are deeply involved in a contentious litigation, mediation is always an option to assist in coming to an agreement. That agreement can be a temporary, trial agreement, or one that is permanent. Either way, mediation allows for parents to craft a holiday schedule that accommodates their needs. Worried about paying a retainer for your mediation? Don’t be. South Shore Divorce Mediation now offers pay-as-you-go mediation. With pay-as-you-go mediation, you avoid retainers, up front payments and financial commitments. Call and schedule your first mediation session today at (781) 253-2049. ← Is Divorce Mediation Faster than Litigation?